Cannon Wheel - 57" - Colonial Trading Co.
A wonderful cannon wheel. Scaled as a Full Size Napoleon Civil War cannon wheel. Made of solid Hickory with forge-shrunk steel tire. The hub will be preserved with mineral spirits. 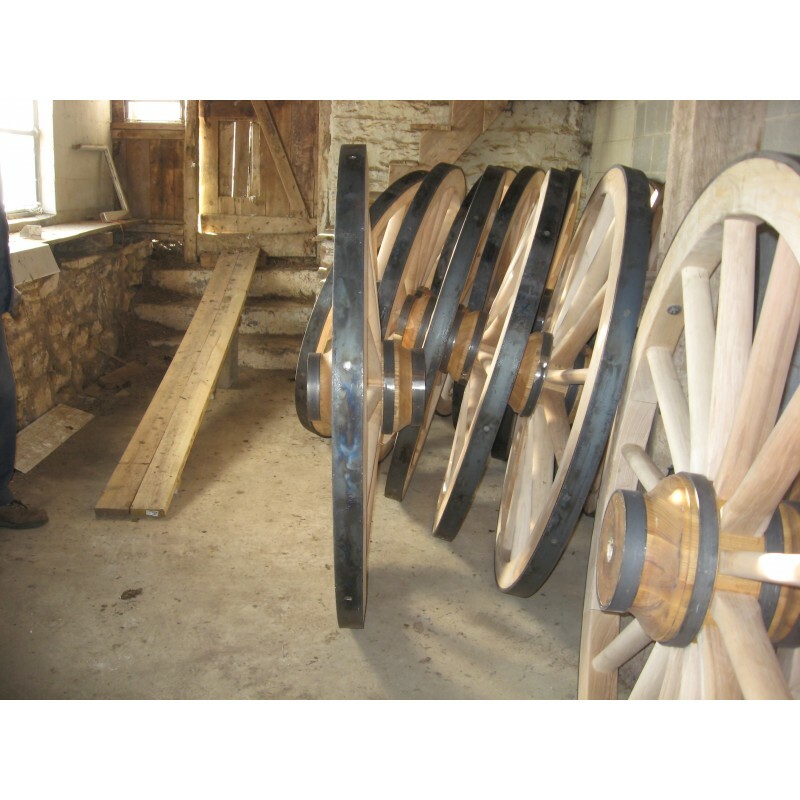 The wheel has standard cannon wheel dish. 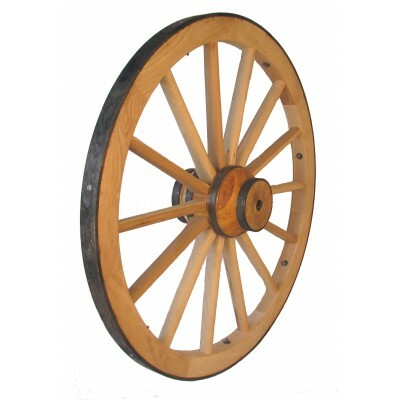 Please call or email to order these cannon wheels. We can discuss what you need concerning the center of the hub, and we need to calculate shipping via the best common carrier.